Kelly Hinga running in the Rock n Roll Marathon. “It motivates students…shows that you have to work hard to reach your goal, and you don’t always win,” Hinga said of her Board of Medals. Six marathons before the birth of her daughter in 2000, twenty-four since then; Hinga has twenty marathons to run in the next six years. Kelly Hinga, assistant principal at Loy Norrix High School, has made it her goal to complete fifty marathons before her fiftieth birthday. At forty-six, Hinga has ran or walked thirty marathons, all over the country. She ran the Country Music Marathon in Arizona four times, twice the Rock n Roll marathon in Chicago, multiple in Detroit, Kalamazoo, The Great Bermuda Walking Marathon (whilst pregnant with her daughter), and The Lost Dutchman, in Arizona mountains. In The Lost Dutchman, runners are dropped off in the Gold Canyon (30 miles east of Phoenix) and run to Apache Junction. The first six miles of the marathon are on well-maintained roads, follow highways, and eventually leads to a footpath past Arizona’s Superstition Mountain. What grew into her quinquagenarian ambition began as a simple way to stay fit following the birth of her daughter. Hinga began running with with Team Leukemia to raise funds for research. Hinga’s sister is a medical doctor specializing in leukemia research and treatment, and there were some family issues concerning leukemia. She is currently the coach of Girls on the Run at Moorsbridge Elementary, the Portage Public School her daughter attends. At forty-four years old, Hinga has six years to tackle her final twenty. She’s hoping that on her fiftieth (September 21, 2019), there will be a marathon in Kalamazoo. Hinga hopes to have all of her friends run some or all of the marathon with her for support. Hinga does not doubt that she will complete her goal by her deadline. Staying fit, motivating students and her daughter, raising funds for cancer research, releasing stress, all while doing something that she loves to do. Currently, Hinga is heading the organization of Loy Norrix’s first schoolwide effort at the 2014 Communitywide Relay for Life held at Portage Central High School from May 31st 10 am to June 1st 10 am. Teams of people camp out around the track, and at intervals, members of each team take turns walking around the track, so there is always someone on the track, raising money to fund cancer research. The Relay for Life includes a Luminaria Ceremony which takes place after dark, to can remember people we have lost to cancer, honor people who have fought cancer in the past, and support those whose continue fighting. 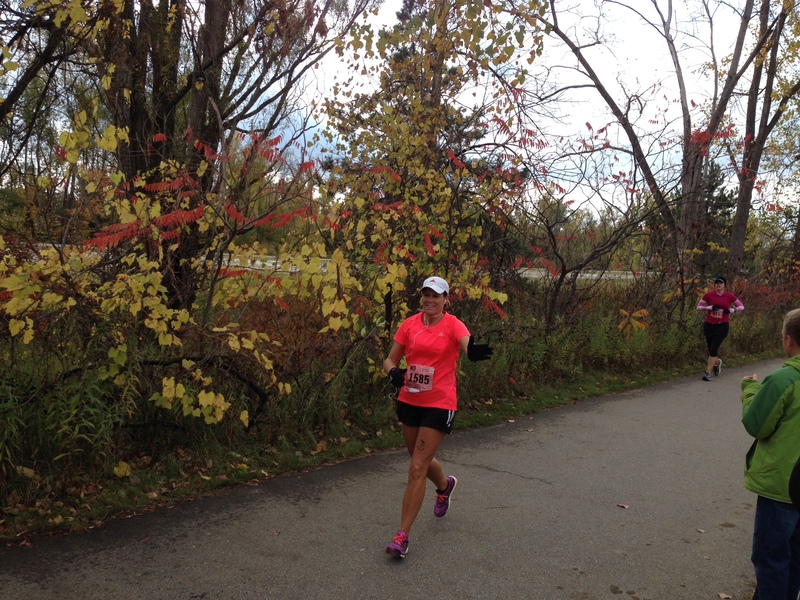 Kelly Hinga is bringing the joy of running to Loy Norrix with myriad of good reasons.